Happy New Year and thanks for stopping by! 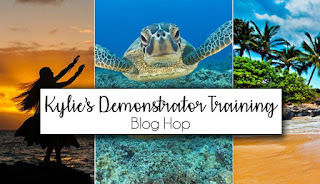 Today I'm participating in Kylie's Demonstrator Training Blog Hop. 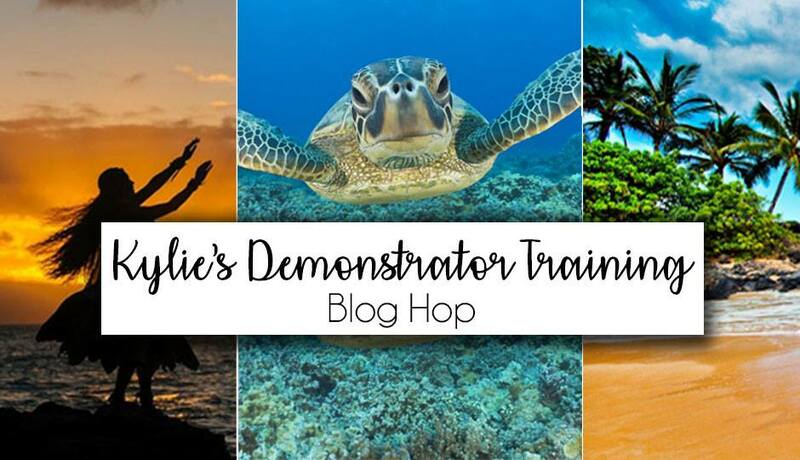 I'm excited to be part of this training program and happy to participate in this Blog Hop! The purpose of the group is for the group of Stampin' Up! Demonstrators that are part of the program...to share ideas and to learn from each other...to help us in our Stampin' Up! Business. Today you will "hop around the world" and check out the amazing projects created by these very talented demonstrators. You are currently visiting Melva Peters from Ladysmith on Vancouver Island, British Columbia, Canada. Please take some time to check out all of the blogs on the list below! My card today features two stamp sets that are available in the Occasions Catalogue - Let It Ride and Crackle Paint. I don't ride horses, but when I saw this stamp set, I just knew I had to have it. Score Early Espresso Cardstock (4 1/4" x 11") in half to make card base. Scrunch the stamped piece of Cardstock in your hand - goal is to make some wrinkles in the paper. Take a pair of scissors with the blade open and run the blade along the edges of the Soft Suede Cardstock to give it a rough edge. 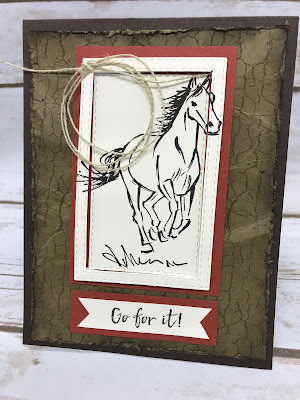 Sponge the edge with Early Espresso Classic Stampin' Pad using a Sponge Dauber. Stamp the horse image on a piece of Very Vanilla Cardstock (3" x 4"). Cut out the image of the horse using 2 of the Rectangle Stitched Framelits Dies (3 9/16" x 2 1/4" size and 1 3/4" x 3 1/8" size). You will cut both pieces at once by laying the largest rectangle over the entire horse image and then laying the smaller rectangle inside of the larger size. You will cut part of the nose and tail of the horse by doing this, but they will show on the outside frame. TIP: Use your Magnetic Platform to hold the framelits in place for cutting. 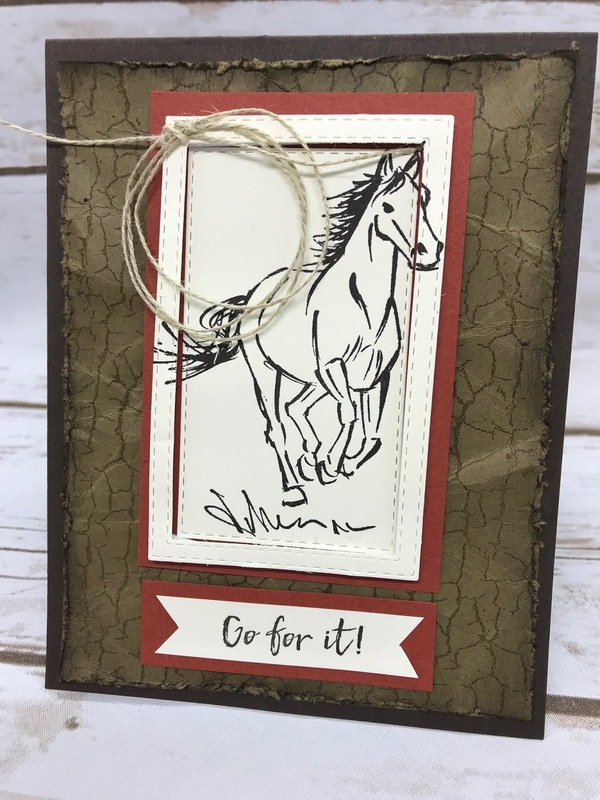 Adhere the outside frame of the horse image to a piece of Cajun Craze Cardstock (3 7/8" x 2 1/2") using Foam Adhesive Strips. 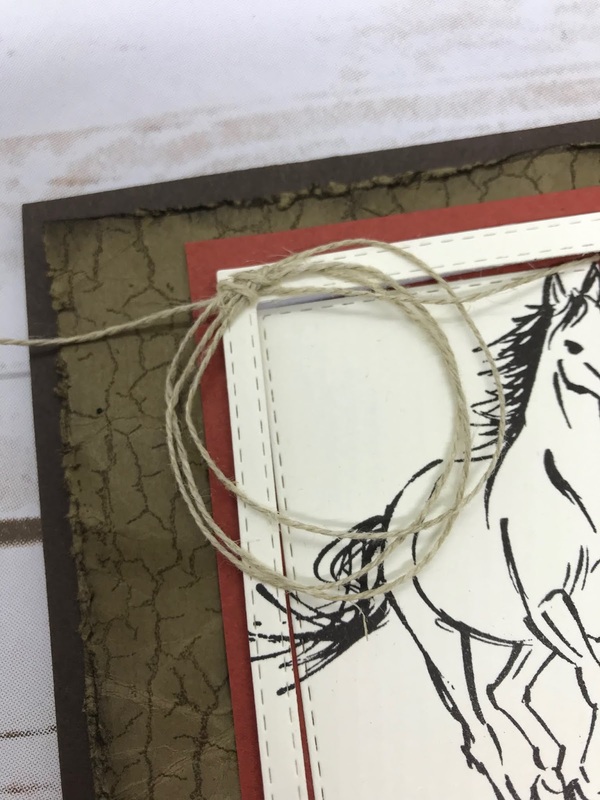 Adhere the inside stamped piece of the horse inside the larger frame using Snail. 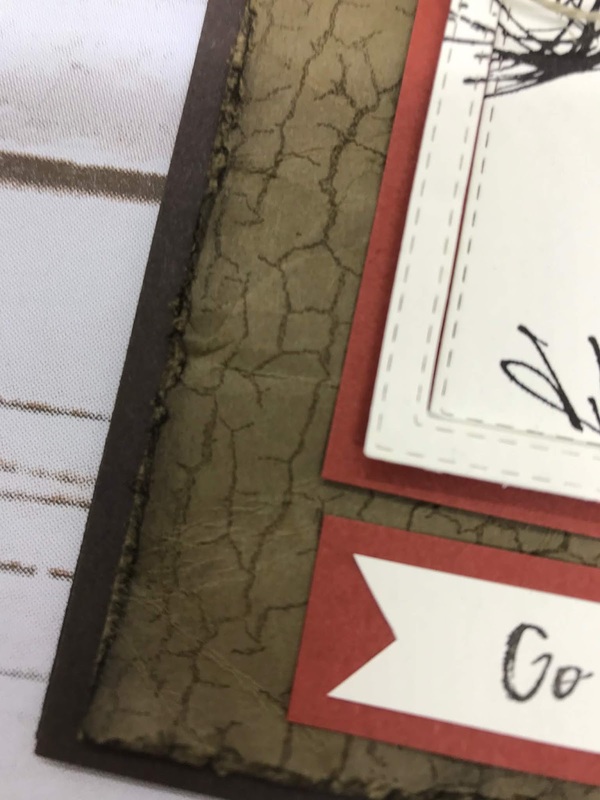 Adhere the Cajun Craze piece to the Soft Suede piece of Cardstock. Adhere the Soft Suede piece to the Early Espresso card base. Wrap a piece of Linen Thread around 2 fingers 3 time and wrap the end around the top leaving to pieces hanging out. Adhere to the top of the frame with a Glue Dot. Stamp the sentiment in Early Espresso on a piece of Very Vanilla Cardstock (2 1/4" x 1/2") and cut flags in both ends. Adhere to a piece of Cajun Craze Cardstock (3/4" x 2 1/2"). Adhere to the card base. Stamp the images on a Very Vanilla Cardstock (4" x 5 1/4") and adhere to the inside of the card. Thanks for stopping by! Please take some time to visit the blogs of the other very talented demonstrators in this Blog Hop.